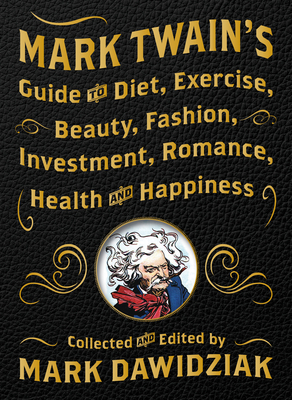 This collection of Mark Twain quotes presents the best of the curmudgeonly writer's thoughts on diet, exercise, medicine, smoking, drinking, romance, parenting, old age, fashion, finances, politics, and stress management. Curated by a well-known Twain expert and mining lesser-known texts, speeches, and notebooks, it's the perfect gift for anyone who's had enough of Gwyneth's self-righteous advice and the ramblings of the blogosphere. "The less a man knows the bigger the noise he makes and the higher the salary he commands." --from "How I Edited an Agricultural Paper"
The television critic at the Cleveland Plain Dealer since 1999, Mark Dawidziak is the author of many books, including the 1994 horror novel Grave Secrets and two histories of landmark TV series: The Columbo Phile: A Casebook (1989) and The Night Stalker Companion (1997). A recognized Mark Twain scholar, his acclaimed books on the author include Mark My Words: Mark Twain on Writing (1996) and Horton Foote's The Shape of the River: The Lost Teleplay About Mark Twain (2003). He is also a playwright, director and actor in northeast Ohio, where he lives with his wife and daughter, as well as an adjunct professor of journalism at Kent State University.